Weekends Count Magazine - Education & Family Travel: Did You Forget Something in the Hotel Room? 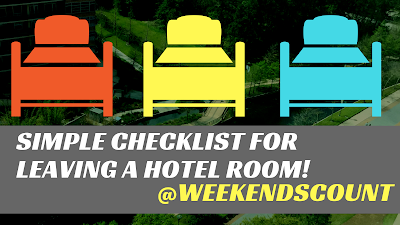 Here's a Simple Checklist to Complete BEFORE Leaving the Room! Did You Forget Something in the Hotel Room? 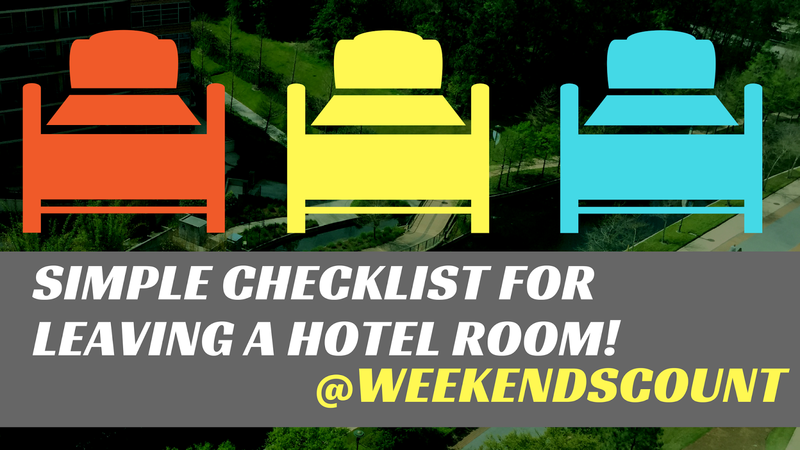 Here's a Simple Checklist to Complete BEFORE Leaving the Room! We are ALWAYS frantic when leaving a hotel room. I always like to check and double-check everywhere (including ALL of the nooks and crannies) to check if we left something in a hotel room. 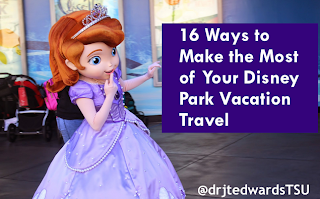 Here's why - We were having an amazing time in Orlando and we had EVERYTHING packed in our backpacks. We boarded the shuttle and finally arrived at the airport. Then, we discovered..we LEFT the iPad! We had the driver travel BACK to the airport and then we grabbed our iPad from the front desk (they cleaned the room) and we headed BACK to the airport. So, we made this checklist and we are finally publishing it on the blog. When you are leaving a hotel room, you have to check everywhere for your belongings! 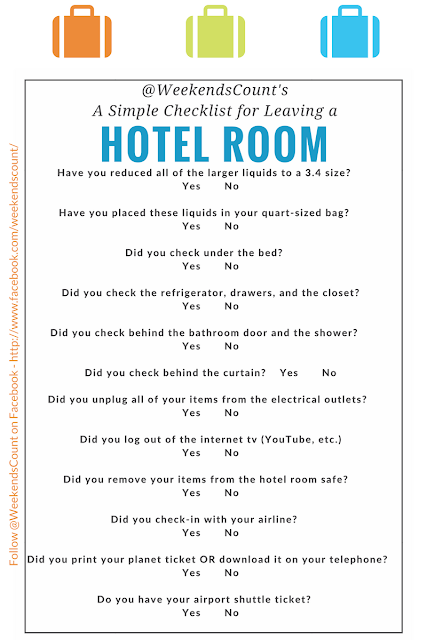 Here's a quick checklist focused on leaving a hotel. Do you have anything that you would like to add to the checklist?